Clarissa Harlowe Barton was born on December 25, 1821, in Oxford, Massachusetts. She worked for 18 years as a schoolteacher in Massachusetts and New Jersey, where she founded several free schools. When a throat ailment forced her to give up teaching in 1854, she obtained a clerical post at the U.S. Patent Office in Washington, D.C. At the outbreak of the U.S. Civil War in 1861, she left her job to work as a volunteer organizing the distribution of supplies and caring for wounded soldiers. In 1865 President Abraham Lincoln authorized Barton to collect records on missing Union soldiers, and she was thus able to identify thousands of the dead. This work was the largest effort of its kind to date and made her famous throughout the country. Her health failing because of the strain of her work during the war, Barton went to Europe in 1869 to recuperate. She enrolled as a volunteer with the International Red Cross, helping civilian victims of the Franco­ Prussian War. She returned to Washington, D.C., in 1873. Four years later, International Red Cross authorities asked Barton to initiate an American affiliate of the Red Cross. The group she organized was incorporated as the American Association of the Red Cross in 1881, and Barton assumed its presidency. She then lobbied the U.S. Congress to vote in favor of the Geneva Convention of 1864, which had adopted Red Cross principles as international law. In 1882 the bill authorizing adoption of the Geneva Convention was passed by Congress. Barton introduced to the Red Cross a program of aid to victims of peacetime disasters, such as hurricanes, fires, floods, earthquakes, famines, and epidemics. She led expeditions into regions devastated by such disasters. At age 77 she ran a relief operation for U.S. forces in Cuba during the Spanish­ American War. As Barton expanded the mission of the American Red Cross, its reach extended throughout the country. Local chapters began to want less interference from state units and the national organization. This unwieldy growth became more difficult for Barton to manage as she got older. In 1904 she was asked to resign, which she did. She was 83 years old. Barton wrote A Story of the Red Cross, published in 1904, and Story of My Childhood, published in 1907. She died in Glen Echo, Maryland, on April 12, 1912. Barton’s establishment and leadership of the American Association of the Red Cross set the stage for the organizations irreplaceable medical relief work conducted throughout this century. It is now a highly effective relief agency; extending beyond just medical help, with millions of members providing various services to those in need. Following Barton’s resignation as president, the Red Cross underwent reorganization. Mabel T. Boardman took over the leadership and aggressively set about raising funds and restructuring the organization. The local chapters were gathered under territorial and state branches, which reported directly to the national headquarters. During the first two decades of the twentieth century, the Red Cross provided aid to victims of the 1906 San Francisco earthquake and World War I. The war transformed the volunteer organization into a powerful relief program. By the end of the war, there were 31 million members serving all over the world. The American National Red Cross, as it is now known, continued throughout the twentieth century to provide global relief to victims of natural and human­ made disasters. During the Great Depression in the United States, the Red Cross was kept busy by drought, famine, and unemployment, and World War II demanded the organization turn its attention to the armed forces. The International Red Cross conducted relief efforts in many areas during peace and war throughout the century, and has evolved to serve over 50 nations today. 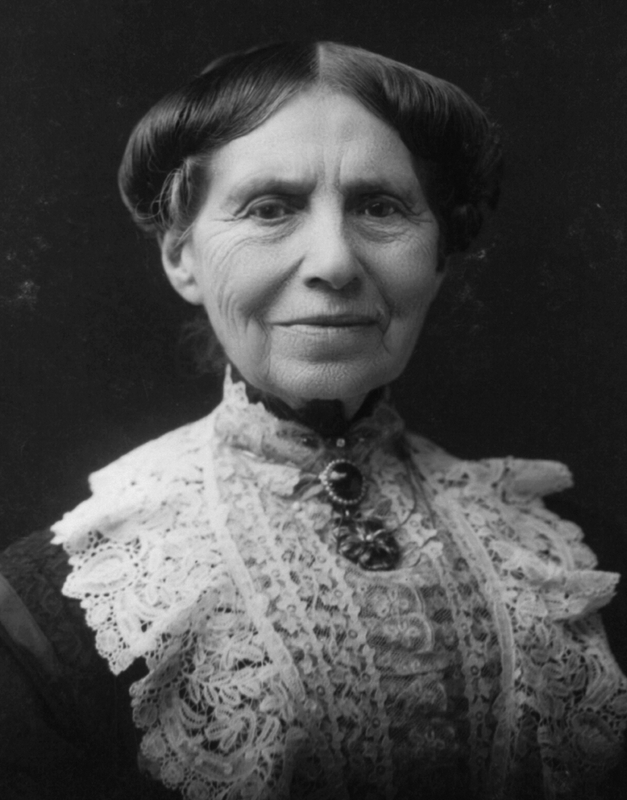 The Red Cross continues to serve the public and maintains the principles that Clara Barton embraced: dedication to promoting peace, humanity, impartiality, neutrality, and voluntary service on a global scale. Posted on March 4, 2015 by Natalie. This entry was posted in Humanitarians and tagged red cross. Bookmark the permalink.